Samsung has built on its earlier pledge to get behind Microsoft's new Windows Phone 7 operating system by outlining its mobile plans. 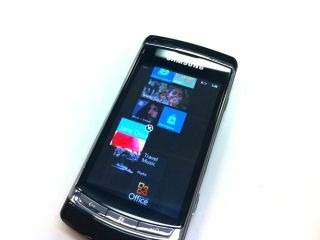 The Windows Phone 7 platform will be a 'key component of the Samsung smartphone portfolio', and is part of a 'long term commitment' according to the Korean electronics firm. We don't know much about the new phones, but the specs have been set: the Samsung phones will pack (at least) a 1GHz processor, 5MP camera, 3.7-inch WVGA screen and dedicated graphics processing. Samsung is actually announcing a licensing agreement to bring Windows Phone 7 devices to the UK this year, which will be no great surprise given it was mentioned as one of the key partners at Microsoft's OS launch in February. Samsung has pledged to launch several Windows Phone 7 devices this year in Europe, Asia and the US, showing that it plans to be one of the big hitters in the WP7 game when it goes head to head with other big names. HTC and LG are among the first to be releasing the new Microsoft-powered handsets come launch time (likely to be next month) and Samsung will certainly be wary of the former given its recent success in the Android market (and HTC even made Windows Mobile acceptable with the HD2). We're getting steadily more excited about the new Windows Phone 7 platform - could Microsoft actually manage to make a go of things in the mobile space?